We know the decision about your child's education is one of the most important choices in life. We promise that at AUBG your daughter or son will find everything they need to develop as an outstanding professional as well as a responsible and mature individual ready to embrace the experiences that stand ahead. AUBG is located in Blagoevgrad, a vibrant student town in the picturesque Southwestern part of Bulgaria. The region abounds in natural beauty and tourist attractions such as the Rila Monastery, the ski resort of Bansko, the spa town of Sandanski, and the Seven Lakes in the Rila Mountain. The town is famous for its 19th century architecture, pedestrian café-lined downtown, and overall welcoming atmosphere. With over 20 per cent of the population being university students, Blagoevgrad is a true university town – youthful and fun. 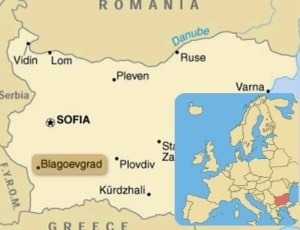 Sofia is a little over an hour drive away from Blagoevgrad, Greece is only an hour away, and Istanbul in Turkey – five hours away. AUBG has full American and Bulgarian accreditation. Graduates receive an American diploma, as well as the Bulgarian national diploma with European supplements after successfully passing the state examinations. 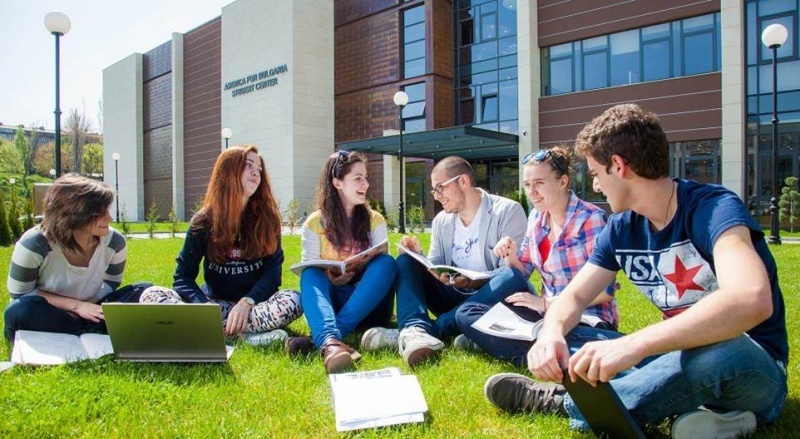 AUBG is recognized as one of the finest universities in Eastern Europe, and the university attracts top students from more than 35 countries worldwide. AUBG offers a Liberal Arts education based on a general education foundation with specializations in a declared major and minor, or two majors – a challenge that many students take on. Instruction is in English. The offered majors are: Business Administration, Computer Science, Economics, European Politics, History and Civilization, Information Systems, Journalism and Mass Communications, Mathematics, and Political Science and International Relations. Courses are taught by highly-qualified international faculty coming from the USA, Bulgaria and other countries, and are experienced in teaching in a learner-oriented multinational environment. 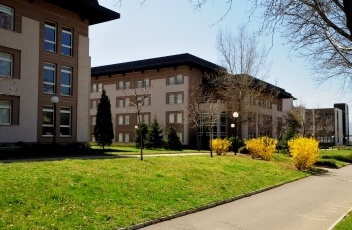 AUBG offers accommodation in the Skaptopara I, II, and III Residence Halls, located in a green park area, a ten-minute walk away from the AUBG Main Building. Residence facilities are equipped with study areas, TV lounges, and fitness equipment. The Panitza Library has the largest English language book collection in Southeastern Europe with more than 100,000 volumes, indexed through a computerized catalogue. AUBG’s 2000 square meter library building is also on the Skaptopara campus, right next to the Residence Halls, and provides a comfortable and welcoming environment for study, research, and collaborative work. There is a cafe in the Skaptopara I Residence Hall that offers a variety of meals and snacks. Also on campus is the 10,000 square meter award-winning America for Bulgaria Student Center with state–of–the–art kitchen and dining facilities, including a café and terrace overlooking the campus. The center includes a multi–sport arena with adjustable seating, an elevated running track and a modern fitness center with locker room facilities. There is also a theater for arts and lectures with modern stage technology which seats 340.. Each student has free access to Internet at more than ten computer labs in the residence halls and at wireless “hot spots” across campus. The Advising Center provides an array of services designed to provide support for student needs ranging from personal counseling to assistance with choosing classes. AUBG offers a variety of sport opportunities, including baseball, tennis, boxing, chess, fitness, dancing, soccer, American football, and aerobics. The AUBG Career Center assists students in planning for the future; they organize an annual Job and Internship Fair. This event allows our students to meet representatives of leading international companies interested in employing AUBG graduates. The Health Center provides health services and ensures prompt consultation, evaluation and treatment of medical problems, in accordance with the regulations established by the Bulgarian legislation and the standards of the American College Health Association. The majority of our graduates start their careers almost immediately after graduation, finding exciting opportunities in their home countries or abroad. Graduates hold jobs in a variety of economic, social, and political spheres including media, banking, computers, telecommunications, human resources, accounting, advertising, and market research, or continue their education for a Master or a PhD degree in top universities worldwide. Employers tell us that AUBG alumni are always in demand because they make a difference with their discipline, professionalism, and expertise developed through a skills-oriented education. While a high-quality education is not inexpensive, AUBG is committed to making it possible for every qualified applicant to attend. Students and their families are expected to pay a significant portion of the cost of their education, but if a student is unable to pay the full amount, we work with the student to find supplemental sources of support. This includes direct aid from the university, loans, and funds earned in student assistant or work-travel programs. Most students find that after the first year they are able to earn the full cost of tuition and expenses during summer work-travel jobs in the U.S. Applicants to AUBG who are generally qualified for admission but whose test scores, particularly in English, fall short of AUBG minimum requirements, may enroll in AUBG’s English Language Institute (ELI). Intensive programs geared towards TOEFL preparation are offered during the summer, as well as during the fall and spring semesters. ELI is a Certified Internet-Based TOEFL Test Center and has an excellent record in preparing future AUBG applicants for the TOEFL exam. All ELI instructors are university graduates with at least a Master’s degree in English and with substantial teaching experience. The higher level courses are taught by a team of instructors – non-native English speakers emphasize grammar and text, while native English speakers teach listening comprehension skills and conversation. ELI classes are small and “learner-oriented,” and the center applies a variety of modern and effective methods of language instruction, using the latest state-of-the-art educational technology. Applicants for the full-time intensive courses seeking admission to the university should present a high school diploma with minimum GPA of 3.00 on a four-point scale. Please consult the Admissions Office regarding minimum GPA requirements for the country where your child goes to school. AUBG requires a minimum TOEFL score of 80 (internet-based) and a high school diploma with a minimum GPA of 3.00 on a four-point scale or its equivalent. If a student is otherwise qualified but not yet able to achieve the required TOEFL score, we may offer conditional admission with the requirement that the student spends a semester doing intensive language study at AUBG’s English Language Institute. Official TOEFL, (IELTS, ESOL, or ECPE) score reports should be sent to AUBG directly from the agencies administering the tests. For the TOEFL test, this is the Educational Testing Service. All necessary application forms and templates are available online in the How to Apply page of our website. in English based on TOEFL (or alternatively IELTS, CAE or CPE). Test scores should be officially sent to the AUBG Admissions Office by the respective organization administering the tests. The TOEFL score is valid for 2 years. Applicants can take the tests while still in high school. Schedule the TOEFL no later than January for the fall semester applications and June for the spring semester applications.